New for Holiday 2018 Kaminer Haislip has designed and created an equestrian themed Christmas Ornament collection! 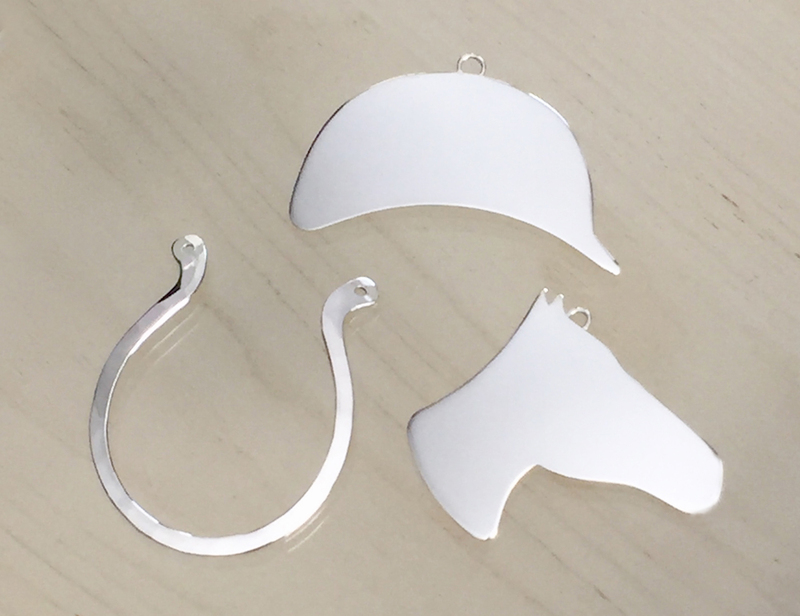 All in sterling silver, Horse, Equestrian Helmet, and Lucky Horseshoe are the perfect Christmas gift for an equestrian enthusiast or someone who loves horses. Horse and Equestrian Helmet can be personalized with gorgeous hand engraving. Lucky Horseshoe has a hammered surface that will sparkle on the Christmas tree and catch the light beautifully! Shop the collection on Kaminer’s website store under the Holiday category. Kaminer’s inspiration for this special equestrian collection came from her wonderful experience at the World Equestrian Games in Tryon, NC this fall. She met so many great people and already had so many friends involved in the equestrian world she wanted to design something fun for them. Also, growing up in Aiken, SC, a small equestrian community, and spending time on her grandparents’ farm with their horses in northern Virginia, had an influence on this unique collection. Kaminer has always loved horses and hope you will like these ornaments as much as she does!